A2B Concepts is a design and marketing company that is passionate about getting companies from Point A to Point B. We specialize in Web Design and SEO. Our clients include private practices, non-profits and large corporations all over the world. Call or email us today and let us show you how we can increase your exposure and drive more traffic to your site! 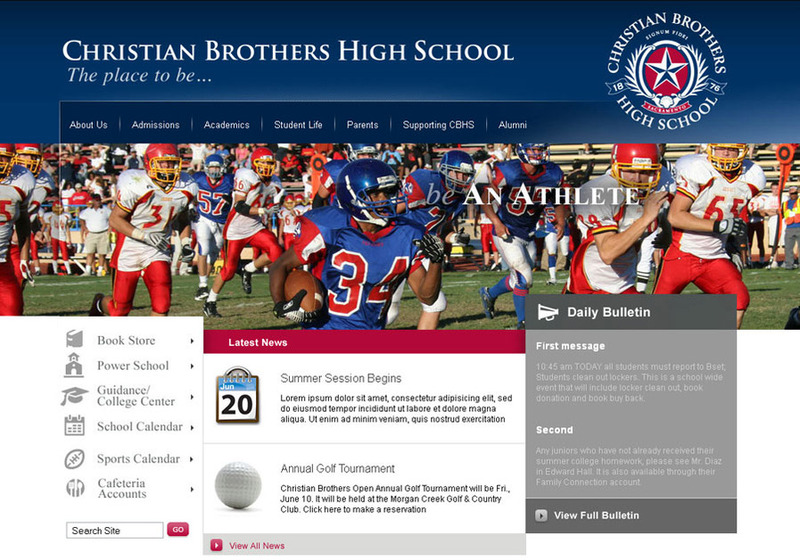 We built a website for the Christian Brothers High School in Sacramento, CA. This is a screenshot of the homepage. We integrated a CMS (aka ExpressEngine) on the backend to handle users with different access.